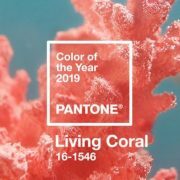 Did you know that 2019’s color of the year is called “Living Coral?” It was determined by a company known as Pantone, originally a manufacturer of color cards for cosmetics firms. In 1963, they developed a system which allows designers to “color match” specific colors regardless of the equipment used to produce that color. a golden undertone.” Its warmth and vibrancy speaks to our “innate need for optimism and joyful pursuits,” Pantone explained in its official announcement. At The Rental Depot, we can help you translate your personal style into the event of your dreams! We have colors for all occasions. 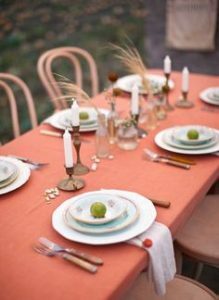 Our professional associates can help you with your tablescape based on our large variety of linens. https://therentaldepotinc.com/wp-content/uploads/2019/01/living-coral-photo-e1548187153575.jpg 385 1315 sfgh653dcvgg https://therentaldepotinc.com/wp-content/uploads/2017/12/Retal-Depot-Logo-1-300x125.png sfgh653dcvgg2019-01-22 19:55:372019-01-22 20:51:47Can’t live without “Living Coral”? Bottomless coffee leads to limitless dreams Bourbon!